Recently I had a chance to take the Fisher F5 to an old homestead that I have detected previously. The last time I was there, I found a 1953 Silver Rosie Dime, so I figured I would go back and give it another try. The grass was completely grown up, around 2 ft tall and it was tough to swing properly, but I was able to find a few wheat pennies, the oldest being a 1919. At one point, after finding a wheat penny, I had moved away from that plug when I realized that I was discriminating nickels. Apparently I had hit the knob with my thumb and didn’t realize it. Since targets were few and far between, I decided to go re-check my previous plug to see if I had missed any coins. Sure enough, I got a solid nickel signal and dug down a few inches and there it was, a 1938 Jefferson Nickel. Wow, I would have missed that had I not realized the mistake I made when discriminating nickels! After that I found a few more wheat pennies and some other relics. I’ve already posted most of those finds in a previous blog though. Just as I was about to leave I got a nice high tone and decided to dig one last target. Imagine my surprise when I pulled this old car from the dirt! I’ve seen similar toy cars by Barclay and Manoil, but I haven’t found this exact car online during my research. If you have any info on it, please let me know! I believe that it is from the early 1900’s and I just love this little car! It appears that this car was lost shortly after the little boy got it. I say that because it has very few scratches on it and is in pretty good condition all things considered. I haven’t been able to get out detecting as much as I’d like to due to the rainy weather lately. 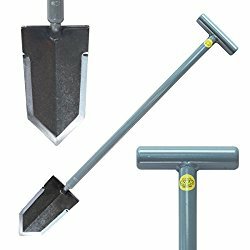 I recently picked up a EuroTek Pro metal detector and look forward to getting it out in the field and seeing what it can do. I think some Fisher F2 and EuroTek Pro comparisons will be interesting and look forward to seeing the results of some side by side tests! Anyway, thanks for checking out my latest finds. Thanks for reading my latest blog, and Happy Hunting out there everyone! Order Your Fisher F5 Today! This entry was posted in Arkansas Metal Detecting, Fisher F5 Tips, Metal Detecting, Metal Detecting Finds, Relics, Silver Coins and tagged arkansas metal detecting, Fisher F5, fisher f5 detecting finds, Fisher F5 Metal Detector, metal detecting, metal detecting articles, metal detecting blog, vintage toy car. Bookmark the permalink.